Now, this 'FUNDAY' jumper I have on is probably nothing new for you to see, I've seen every (wo)man and her dog wear this over on Instagram. It's the Bella Fraud-esque jumper of dreams for a fraction of the price. It's bold and beautiful, and I for one have had a lot of wear out of it. I actually have bought it a little after the hype was at its highest, because I managed to get my hands on this for £7 in the sale.. in a size 8 too; it was a must when I found it on the rail. 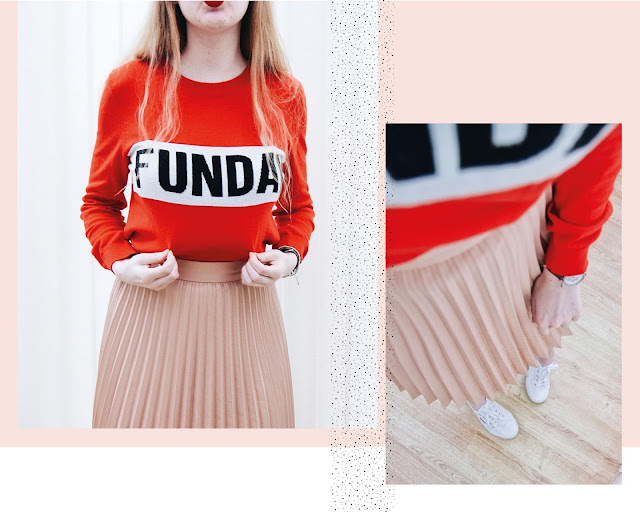 I've paired it with my Zara pleated skirt which has been neglected lately, but having seen blogger giant Hannah Gale sporting a similar outfit on Instagram last week, I was inspired and thought 'now that's a good idea for an outfit!'.. you can literally always be certain of fashion inspo from fashion bloggers, can't you. Of course, on my feet are my trusty Superga pumps. Never have I loved a pair of shoes so much. From the moment I wore these, they have never let me down, no blisters, no sore feet, no nothing.. after a pair of trusty white pumps? these are 100% the ones for you! Well that bring me to the end of this short and sweet blog post. I'll admit I've liked this new style of posting pictures, with the colour and pattern; it excites me more. 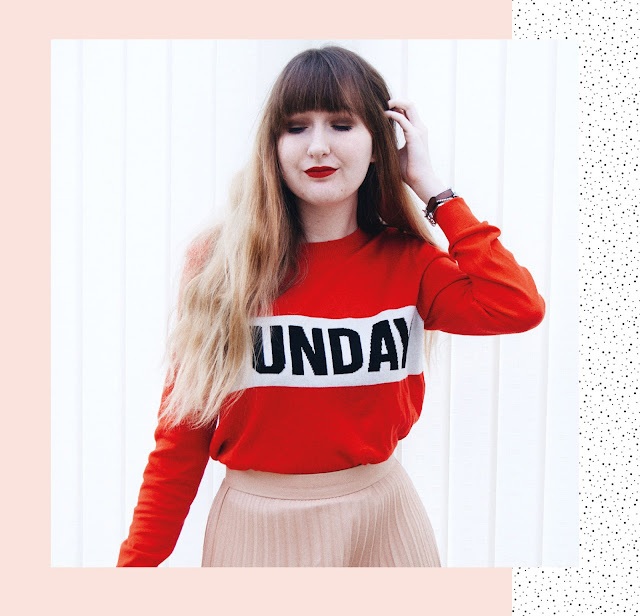 Whilst I am home for another week during Easter I have planned a couple more posts, so hang on in there because there is going to be actually, real life activity on this blog once again; I am definitely not letting it fade away! .. see you (very) soon, again!